Restaurants have gotten so loud even restaurant critics have noticed: "Those beautiful, minimalist spaces that are so in vogue reflect sounds, making it hard to hear your dining companions." And with that last one, I may now go take a nap. My furnace has reached the limits of its ability to keep my apartment warm as the delta between inside and outside temperatures has hovered around Δ40°C for 48 hours now. Even though the temperature has started going up, and will continue to do so until hitting the nearly-tropical 10°C by mid-day Sunday, the outside air still hurts my face. Yesterday's official high was -23.3°C, and the low was -30.6°C. So we missed setting the all-time record cold high by Δ0.6°C, and we're a few degrees from the all-time record cold low set 20 January 1985. Overall, yesterday was the 5th-coldest day in Chicago history. Compare that with the last polar vortex in January 2014. This one is colder but shorter, and will have a much warmer denouement. And if we get up to 10°C, the Δ42.8°C warm-up will break the all-time warm-up record set from 25-29 December 1984 (Δ40°C). Officials in the Midwest blame only six deaths on the record cold, which speaks to the seriousness with which people are taking this crap. With particular derision directed at the President, this cold snap barely registers globally as scientists report that 2018 was the 4th-hottest year in recorded history—after 2015, 2016, and 2017. I'm looking forward to the warm-up, even though its leading edge brings some snow with it. Did I mention the cold? Even though this concept is beyond the ken of some people, global warming increases weather extremes in both directions. Crain's explains how beer distributors keep beer cans from exploding (a real possibility below -11°C). Schools, planes, trains, and automobiles government offices are closed today in Chicago. Also tomorrow. To keep the other trains running, Metra sets the tracks on fire. No kidding. The Chicago Tribune has images of its front pages during the 10 coldest days in history. Meanwhile, we've still got another 24 hours or so of this vortex to live through. The forecast right now predicts a high today of -26°C and low tonight of -29°C with wind-chill values down to -40°C. On Thursday, I spoke to Vernon Bogdanor, a visiting professor of government at King’s College London, who is one of Britain’s leading constitutional scholars, about Bercow. “I think he has damaged the role of the Speaker,” Bogdanor told me. “Every other Speaker in living memory has been scrupulously neutral, never been accused of any partisanship. He is the first.” Next week, the pressure will increase further. Bercow’s every call will be scrutinized. On Tuesday—the next big day in Brexit—the Speaker has to choose six amendments from M.P.s, which will set the course of the drama for the coming weeks. Another plot among rebel M.P.s, who are searching for a cross-party solution to Brexit, is to suspend the rule that gives the government’s agenda priority in the House of Commons. If Bercow allows that, it would probably be the most dramatic act by a Speaker since William Lenthall defied King Charles I, who was trying to arrest five M.P.s, in January, 1642—and that helped set off the First English Civil War. One of the saddest, and most maddening, aspects of Brexit has been the timidity of many British politicians to speak their mind about what is happening to the country. Neither Theresa May nor Jeremy Corbyn has ever said—or is likely to say—that leaving the E.U. will be positive for Britain’s health, wealth, culture, or well-being. It is both shocking and not surprising that one of the only people who really isn’t allowed to have a point of view about Brexit seems determined to express it—and that isn’t helping, either. The votes are underway at this writing. I'll have more later today or early tomorrow, and some analysis of tomorrow's PMQs. WaPo reports that Speaker Pelosi has just invited the president to give the State of the Union Address in the House chamber next Tuesday evening. I have watched most SOTUs since I was a kid. This one, I'm not sure I want to watch. I'm torn. But I suppose it's my civic duty. It's just too bad they don't have TVs at the Duke of Perth. 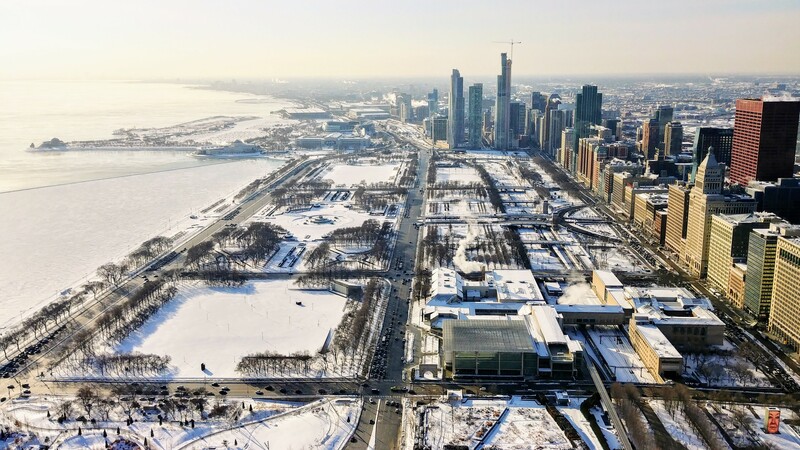 Temperatures are forecast to inch up to a daytime high of about -26°C on Wednesday—the first subzero [Fahrenheit] high temperature in five years and the coldest winter high ever recorded in Chicago—before dipping, again, to about -29°C overnight. The coldest daytime high in Chicago was -24°C on Christmas Eve 1983. For younger Chicagoans, the burst of Arctic air set to overtake the city this week could be one of the coldest days of their lives. For Generation Z, this week’s predicted low temperatures have only two rivals: -27°C on Jan. 6, 2014, and -28°C on Feb. 3, 1996. Awesome. Note that I experienced all of those, and blogged about the 6 January 2014 weather right here. The wintry onslaught will be driven by the Northern Hemisphere’s polar vortex, the pocket of cold air sitting atop the North Pole. 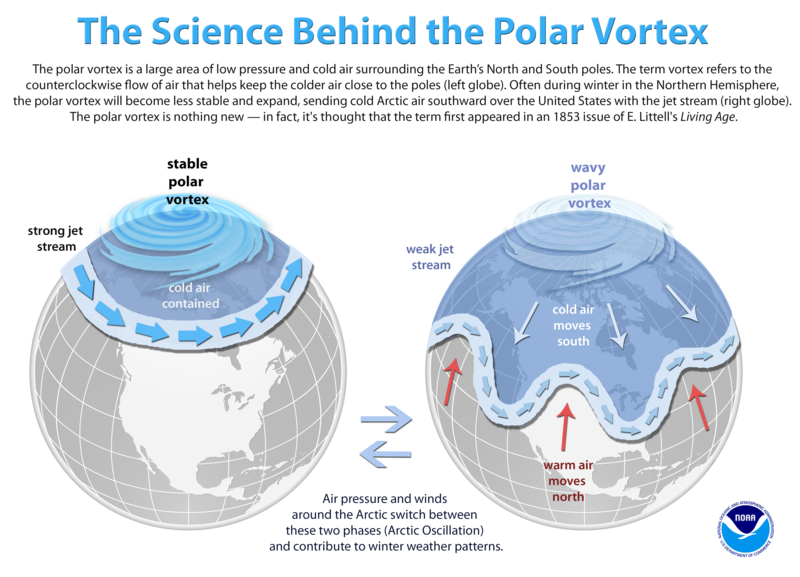 When temperatures rise in the Arctic, the polar jet stream — the torrent of westerly winds that hold the polar vortex in place — can weaken and dip into parts of North America. A growing body of evidence suggests another warming trend in the Pacific Ocean is believed to be causing the jet stream that confines the polar vortex to warp further, with warm air penetrating near the Pacific Northwest and a lobe of cold air sinking into the Midwest and Northeast. Whoo boy. Can't wait. Doggie daycare is closed, and Parker's regular dog walker isn't certain he can make it, so I'll be working from home. Pants on fire for what reason? People in and out of the Trump Administration have lied so often and about so many things. The Post asks, but why? Trump’s former campaign chairman, deputy campaign manager, former national security adviser, personal lawyerand a campaign foreign policy adviser have all been accused of lying to investigators exploring Russia activity. In the first two years of his administration, the president made 8,158 false or misleading claims. Perhaps like attracts like? Snow, mainly after midnight. The snow could be heavy at times. Patchy blowing snow after 11pm. Temperature rising to around -3°C by 5am. Wind chill values as low as -19°C. Breezy, with a south southeast wind 15 to 25 km/h increasing to 30 to 40 km/h. Winds could gust as high as 50 km/h. Chance of precipitation is 100%. New snow accumulation of 80 to 120 mm possible. Drizzle and snow, possibly mixed with freezing drizzle before 1pm, then a chance of snow and freezing drizzle between 1pm and 4pm, then a chance of snow after 4pm. Patchy blowing snow before 8am. Temperature rising to near 1°C by 9am, then falling to around -7°C during the remainder of the day. South southwest wind 25 to 30 km/h becoming northwest in the afternoon. Winds could gust as high as 50 km/h. Chance of precipitation is 100%. Little or no ice accumulation expected. New snow accumulation of 10 to 30 mm possible. Partly sunny and cold, with a high near -16°C. West wind 20 to 30 km/h, with gusts as high as 50 km/h. Partly sunny and cold, with a high near -23°C. At least the longer-range forecast calls for normal temperatures the week of February 4th.